My name is JJ Duque. The JJ is short for something, and I refrain from giving it out not to make it a big secret, but rather to avoid the quizzical look. Not that it sounds exotic, but maybe because it doesn't. Anyway, everyone just calls me JJ, and I answer to that, so let's leave it at that. 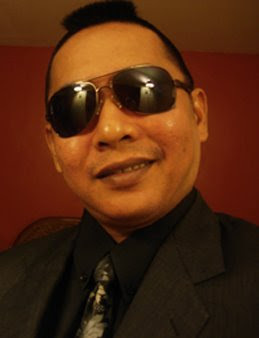 I am 37 years old, born in the Philippines on a rainy day in September 17, 1971. I decided to come up with this blog to have something different to write about rather than what I usually write about for work. Most recently, my writing (and blogging) has been focused on sports - mainly sharing sports betting tips on all kinds of sports (SBObet.com) and a little bit about the wonderful game of poker - texas hold'em to be precise (pokerism.blogspot.com). I also have a different blog that talks about issues, news and events of the Philippines (philippinesfunwall.wordpress.com). In this blog - Nothing But The Truth ver 1.5 - I want to write something more personal, something more introspective about me and my life rather than just eloquently echoing issues and events going on around the world. This blog is more about my own world, and the people, places and events that find their way in it from time to time. I just want to tell stories of stuff that's happened in my life. Some comment that it's colorful. I've denied that it's colorful, and insisted that it's kaleidescopic. Of course, that's just my version. In a way, that's exactly what I want to put in here - my version of the truth and nothing but the truth - simply because The Truth must be told. Welcome to online gambling sites the best online gaming revenue. Pau and promotions for clients like you. We are ready to serve. To serve you. You enjoy. Online Gambling, Casino online with unlimited fun Registered in SBO-TH SBO through agents. Not through an agent.